AIP Held the 10th Right to Know Day Awards Ceremony in Bulgaria! 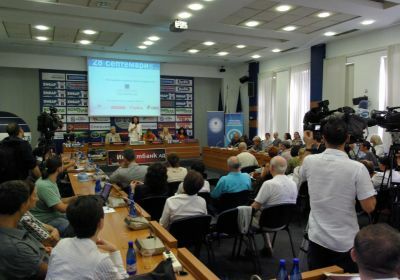 Access to Information Programme (AIP) held the 10th Right to Know Day Awards Ceremony in Bulgaria on 28 September 2012 at the Bulgarian News Agency, Sofia. AIP opened the event with the song “Breathe,” dedicated to the right to know. More than 90 attended. Promotional materials, among which the Right to Know Day Magnet, were distributed to the participants in the ceremony. The Right to Know Day Awards Committee selected the winners in the six categories out of 42 nominations. See who the winners were at: http://www.righttoknowday.net/ceremony12_eng.php.